We might live in a digital world, but as 2017 Digital Transformation Award nominee Xerox Corp. can attest, that doesn’t mean Canada’s business world has left paper behind entirely. And while the client that earned Xerox a nomination, Family Service Toronto, and the hundreds of boxes of information it accumulated over its 103-year-old history might be an outlier, CDN Channel Elite Award nominee Process Fusion Inc. knows it’s not alone. Fortunately, businesses facing boxes full of information of their own will be glad to know that Process Fusion, a Mississauga, Ont.-based managed services provider, knew an opportunity when it saw one and was happy to collaborate with Xerox on developing what it calls the most intelligent document processing cloud platform on the market. The company’s signature service, CapturePoint, allows Xerox multi-function printers to quickly and securely transform paper into editable information that is immediately transferred to the cloud. 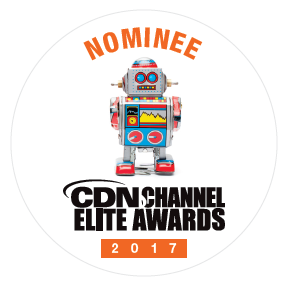 “Combining the power of the cloud and incorporating the capability of machine learning into our data verification processes, CapturePoint is the most intelligent modern data capture platform for centralized and unified document processing,” Process Fusion says in its CEA nomination form. Using the touchscreen located on any compatible Xerox printer, users can securely scan and convert paper to searchable document in multiple languages. The CapturePoint platform is also capable of scanning any type of printed or handwritten document, whether it’s a quick thank-you note or 50-page legal agreement, at near 100 per cent accuracy, Process Fusion says, easily integrating the captured data with vertical applications in multiple industries, including financial services, health care, retail, insurance, and government. It’s the perfect demonstration of Xerox’s “ConnectKey” platform, which allows partners to build their own applications to enhance business functions and productivity, Process Fusion says.